BE SAFER with these 7 Deck Safety Tips from Archadeck. Deck safety is no accident. 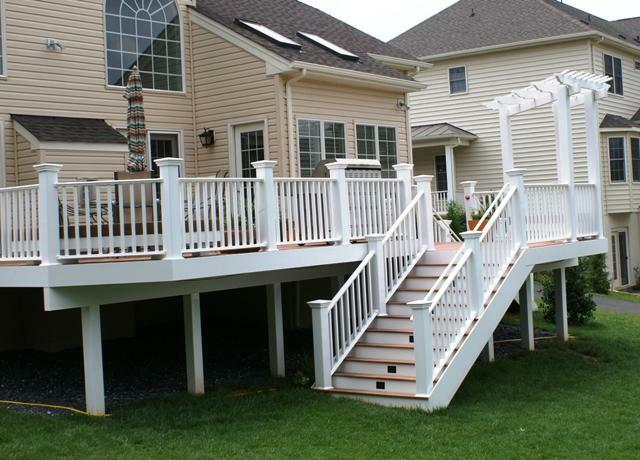 Ensure that your deck is safe by following these tips and suggestions from Archadeck Outdoor Living. Look at the condition of your deck boards. Most wood will show some minor cracks and splits over time, but is the general condition of the boards good or are they damaged and unsafe to walk on? A deck should be built using a variety of fasteners and metal hardware connectors. Check every connection on the deck to make certain that they are not corroded or otherwise compromised. Be on the watch for nails backing out, red rust and other signs of corrosion that can weaken the integrity of the deck. The attachment of the deck to the house (also called the house band) is where most deck failures occur. 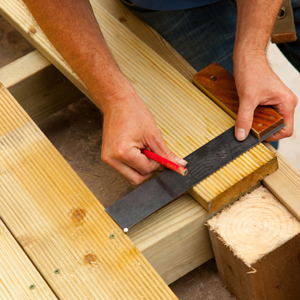 Pay special attention to this area and check to make sure that the deck is properly attached to the house with bolts and that it is properly flashed for water protection. Nails should never be used for this type of attachment. The foundation / footings receive and support the weight (also known as the load) on a deck and the columns that bear on them. A footing that is sinking may cause a noticeable sag in an area or a column to separate from a beam. Check the areas where people exit from the deck. These exits usually involve stairs so be sure to check the condition of the material used on the stair stringers, stair treads and risers. Do the stairs require a handrail? Is there adequate lighting to safely use the exits at night? Look at the condition of the rail posts and sections of railing to make sure that they aren’t loose or wobbly. 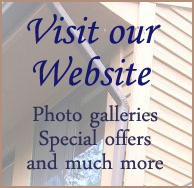 Verify that the pickets/balusters are fastened securely and spaced no more than four inches apart. BE SAFER by taking these precautions and preventative measures. 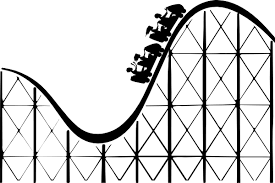 The number of deck failures and related injuries has been increasing, and each year we hear about more deck collapses and accidents. Recent statistics show that about 40 million decks in the US are over 20 years old, so it’s crucial for homeowners to be proactive and check their decks. 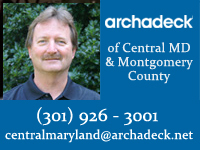 Archadeck of Central Maryland is a leader in outdoor design & construction for Baltimore, Montgomery County, Howard County, Anne Arundel County and Prince Georges County MD. Our team has been designing & constructing outdoor living spaces for over 11 years and has been the recipient of CotY (Contractor of the Year) awards and other distinctions, plus featured in the Washington Post. If you have an old deck that needs repair or remodeling, we’d love to help create the perfect outdoor living space for you, whether you’re thinking of building a new deck, 3- or 4-season room, sun room, screened porch, patio, trellis, pergola, arbor, fire pit or other project. 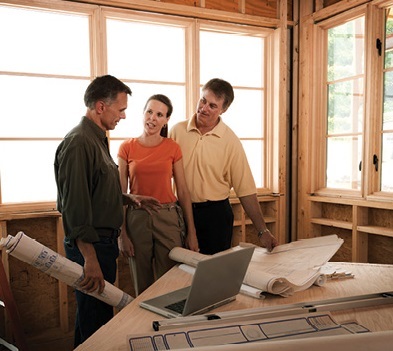 We offer a free, no obligation design consultation. Give us a call at 301-926-3001 or email us to schedule yours today.